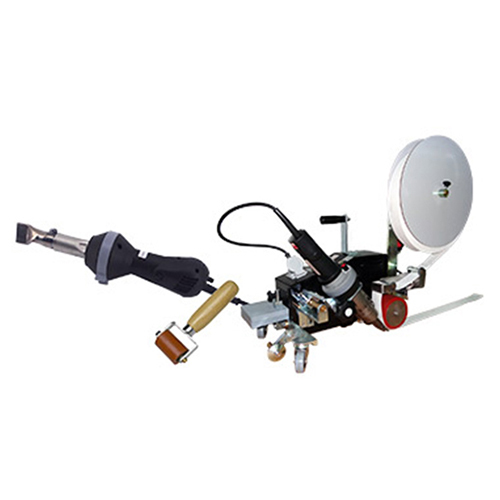 PLASTGrommet distributes Forsthoff hot air welders, offering hand held Quick-S-Electronic and automatic model P-2 that allows you to join panels and to make a perfect hem adding a hemming kit to the standard welder. For large banners you can use our reinforcement tape, high tenacity polyester webbing PVC coated (1300 Kg). On our offer you will find a large selection of double sided tapes, for general purposes or to make hems as the Extreme tape with a 2mm overlay for easy handling.